As these starters are built-to-order it is not possible to order directly on-line: please fill the email form at the base of the page, we will get back to you as soon as possible confirming price and quoting availability. Got a modified vehicle? 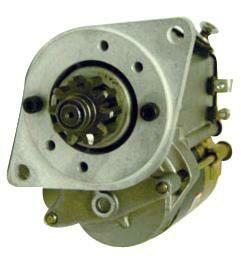 These starters as listed are a direct fit for a standard vehicle. However as they are built to order we can also easily cater for any modifications such as engine and gearbox swaps you have made. Identify your vehicle from Table One below, then fill the email form at the base of the page, adding details of your modifications, and we will get back to you as soon as possible quoting price.